If you have carpet floors, you may have noticed that your carpet may have some ripples in it. Ripples are basically wrinkles that rise up from the surface, if that area of the carpet is loose. This has many names and can be called as buckling, wrinkling or stretching. There are many reasons or causes for carpet floors to ripple. Weather conditions: Change in weather can play a spoil sport and make your carpet to ripple. During summer, the most damage happens with the drastic change in weather. If you live in a place with high humidity levels, the moisture seeps into the carpet and makes it to swell. In some cases, the carpet can return to normalcy after the moisture levels come back to normal. But in some cases, if the carpet is severely buckled then you may have to take steps to remove all the wrinkles on your carpet. One thing that can be done to reduce the rippling in humid conditions is to turn your air conditioner on, or even a dehumidifier can help in drawing out the moisture from the carpet. Bad installation: Another reason that causes carpet to buckle is if the carpet is not installed in the right way. When the carpet installation from wall to wall is being done, carpet should be stretched firmly and the tack strips should be placed along the carpet floor edges. 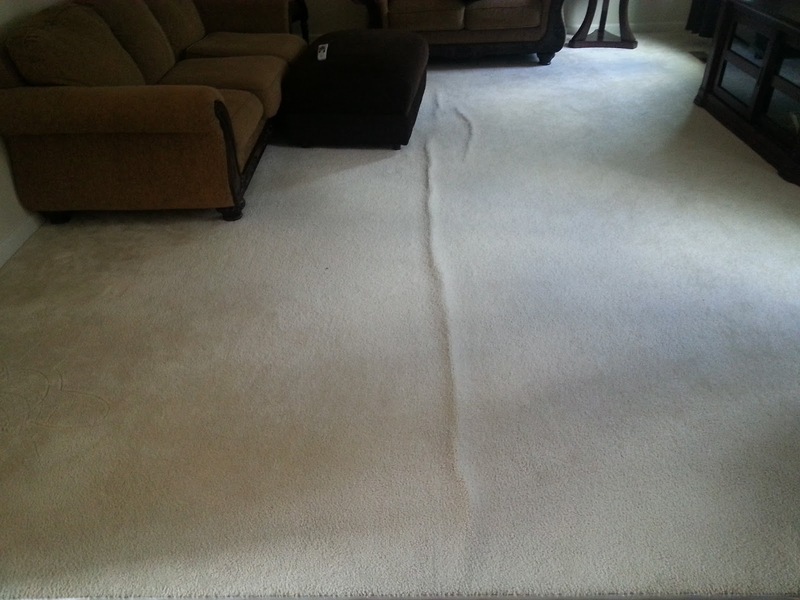 If the carpet is not stretched in a tightly, the carpet can get loose in no time, making it to ripple. Carpet floors need to be stretched using a power stretcher so that the rippling doesn’t occur. If the weather conditions vary vastly from the place the carpet was stored and where it will be installed then it is a good idea to allow the carpet to acclimatise before the installation. This can also reduce the rippling. Heavy items: Another main reason for the carpet to buckle is if any heavy furniture or any heavy item is dragged on the carpet floor. When something heavy is dragged, it can cause the carpet to buckle. To avoid this kind of situation take necessary precautions, like lifting the item and carrying it instead of dragging it. If the item cannot be lifted and place, another way to get around the situation is to take 2 plywood sheets and place them side by side, first place the item on the first sheet and move it slowly on to the second sheet. Once the item is moved on to the second plywood sheet, take out the first plywood sheet and place it near the second one. Continue with this process, till you reach the spot where you have to place the item. Under pad: There is an extra cushion or otherwise known as an under pad under any carpet. If that under pad is not the right one, it can cause your carpet to buckle. You must check to see if the pad is thick enough, otherwise it can make your carpet to move causing it to ripple. Damp carpet: If there is too much moisture in the carpet, the carpet tends to buckle. If the carpet is extra wet due to a bad way of steam cleaning your carpet or excess water from the kitchen or any other reason, the carpet is highly susceptible to buckling. To avoid this situation, it is best to get your carpet floors steam cleaned by a professional rather than doing it ourselves. The damage will be too much. If your carpet is rippled, the first thing to do is re-stretch it immediately. Do no leave it, for too long, as the ripples can increase and can cause creases on your carpet and damage your carpet forever. The ripples can be stretched out but the creases will remain forever. Tucson carpet floors are a great option for a home; with minimum care you can make your carpet last for years on end.